X-Plus 30cm Godzilla 1992 | Fresh Vinyl HQ! 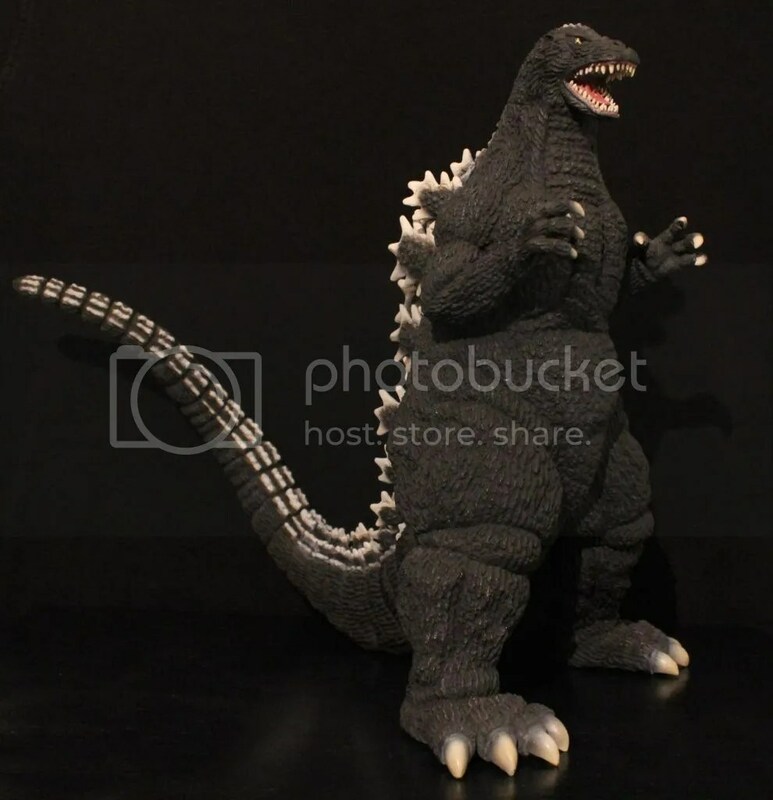 X-Plus released the 30cm Godzilla 1992 in September 2011. 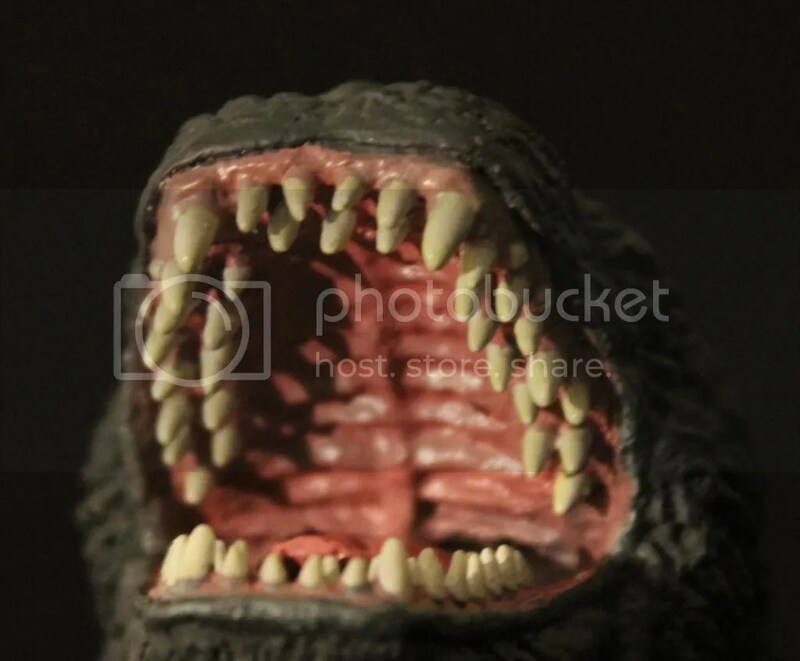 This is X-Plus’ representation of Godzilla from the 1992 film “Godzilla Vs. Mothra”. On initial review, this figure looks great! 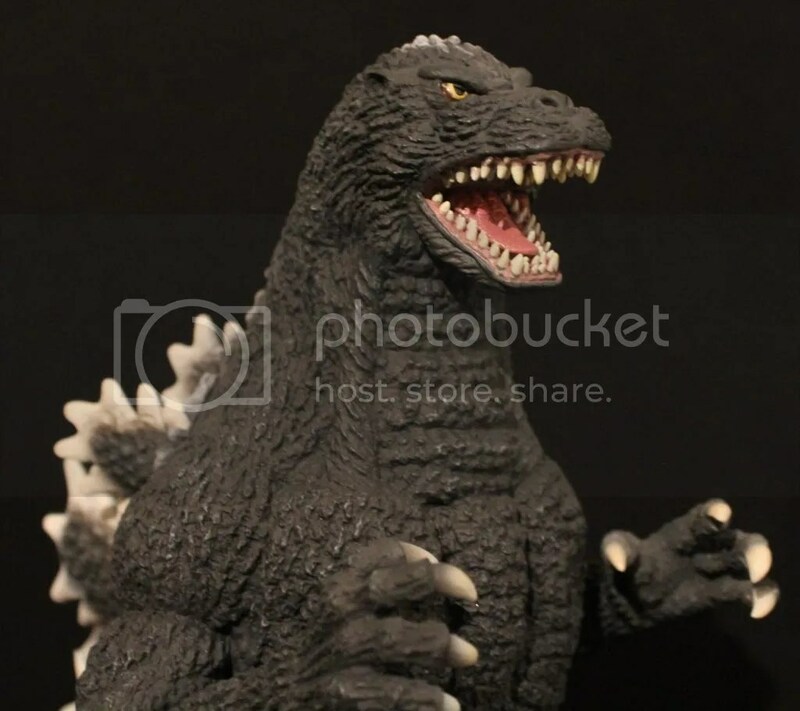 There is only one minor hiccup with the sculpt which unfortunately hits the money-maker, Godzilla’s face. We will discuss the face in a few moments. Overall, the figure is great. The pose is awesome. 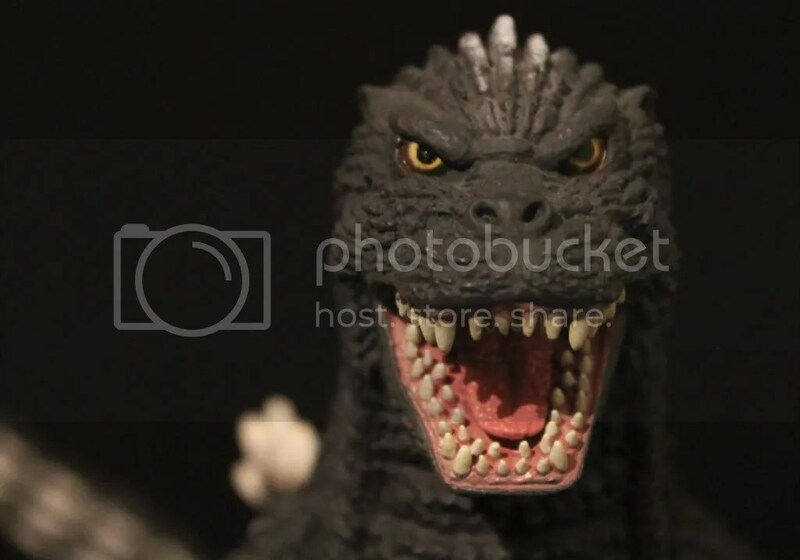 I love how the pose captures Godzilla’s ferocity which is projecting his power and anger. The sculpt and detail is well done throughout the whole figure. The paint job is top-notch. Size is great and yes, it is a full 30cm figure here, no short man status! Oh, let me get this out-of-the-way right off the bat: I DONT HAVE THE BOX! Yea, I bought this figure of Mandarake without the box. This is first X-Plus figure I bought that I do not have the box for. Why? Plain and simple, I am/was not sure if Diamond is ever going to re-issue this figure. I found it at a great price so I pulled the plug and got this bad boy. Ok, enough yapping, lets move on the visual meal, GODZILLA 1992!!! As with all X-Plus figures, the sculpt and detail is beautiful. The attention to detail that goes into making these figures is top-notch for the most part. This Godzilla figure is just massive for the 30cm scale. Godzilla is very bulky and captures the Heisei look very well. Godzilla has his legs at a stance as if he is ready to grapple with Mothra and Battra. Godzilla’s arms are in position to attack. I actually love how the arms and hands are positioned. 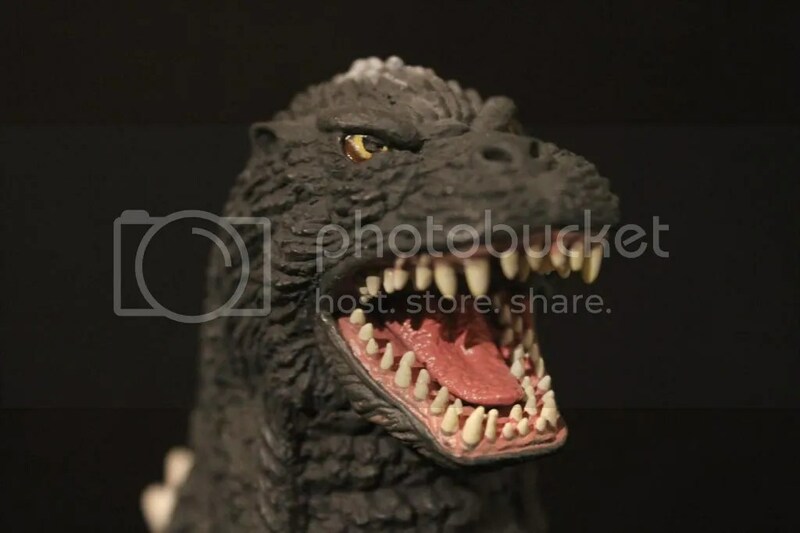 If you have ever sat in on a panel where Ken Satsuma described how he portrayed Godzilla in the Heisei films, you can clearly see the stance he took from looking at this X-Plus 30cm figure. I also like how the tail is positioned straight out and off to the side rather than just up and out straight. Lets talk about the head real quick. The head is off a bit here in the accuracy department. I will say the head is detailed and sculpted nicely but it is not suit accurate. If you look from the eyes down across the upper mouth and snout, you could see it appears that area is to thick. The way it is sculpted really just makes the whole face look off. The face is an important part of the whole figure. If the face is off, it just throws everything off. It is a shame too because the rest of the sculpt is really top notch. I personally love this shot that you see below. 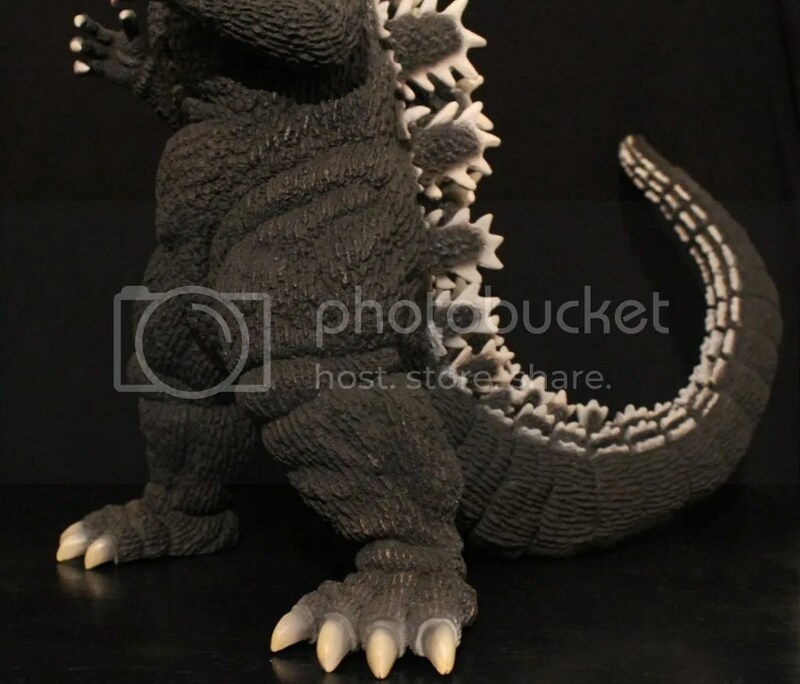 As you can see, looking at Godzilla from this angle, the sculpt looks pretty accurate. From some angles, Godzilla looks off but from other angles he looks spot on. 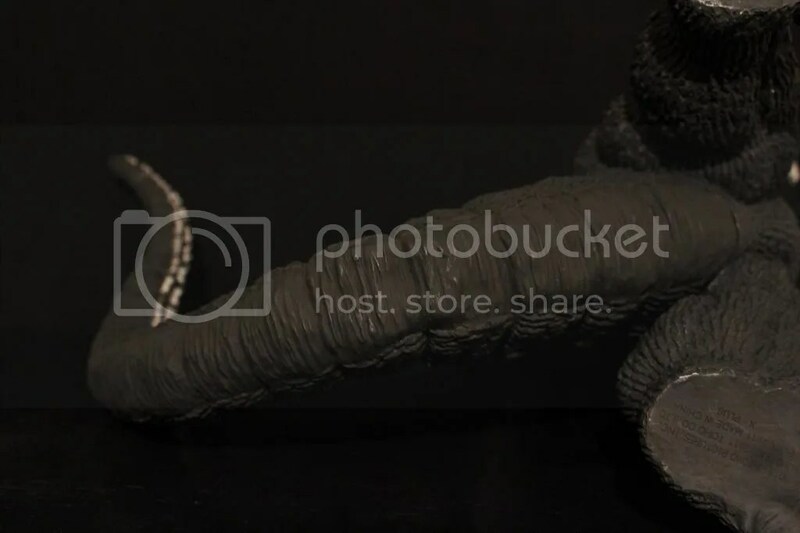 The dorsal plates look really powerful. I love how they are painted with white tips and charcoal grey in the centers. There is a lot of attention to the sculpt on these dorsal plates as you can see, in the centers, they are carrying a lot of depth with the scales sculpted in the center. 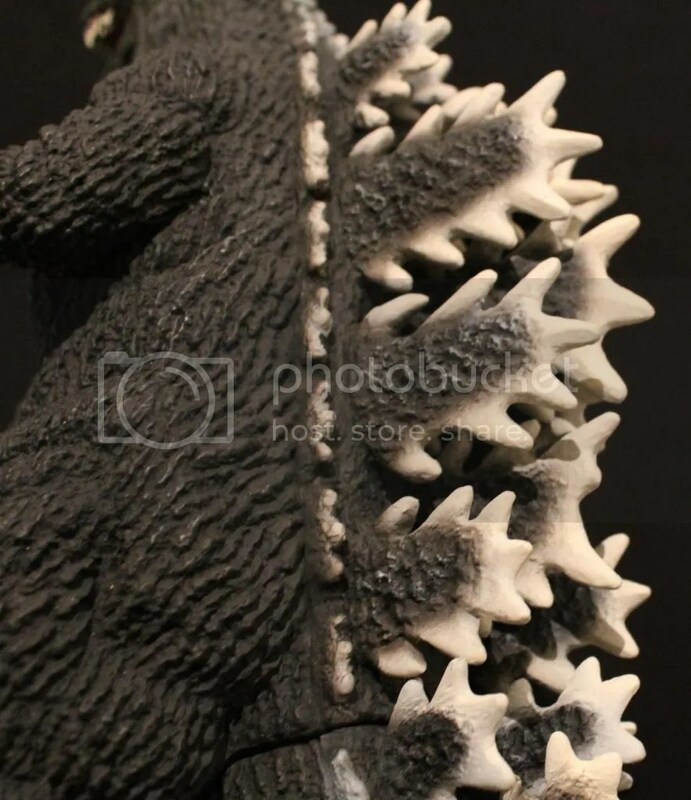 These dorsal plates also seem to be the mostt brilliant looking of all the Godzilla figures put out by X-Plus. The white tips on the dorsal plates really pop. The mouth! For some reason, I really dig the mouth on this figure. 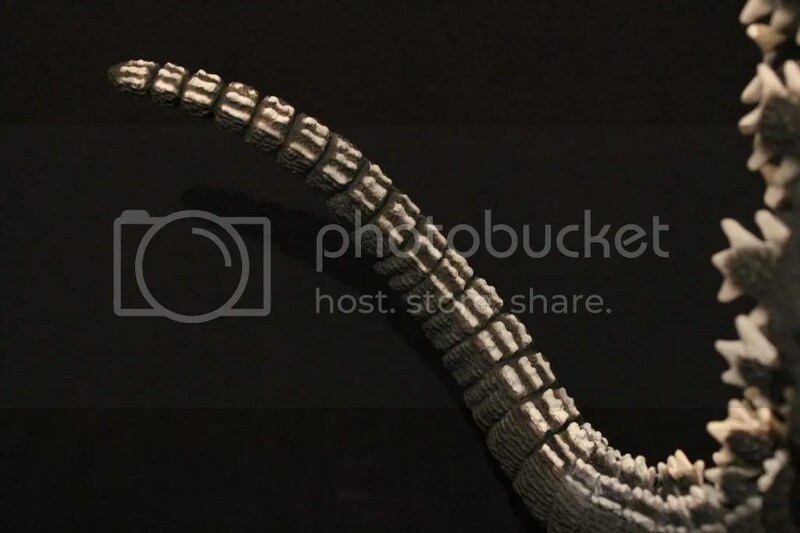 I really like the double row of teeth on the top and bottom. 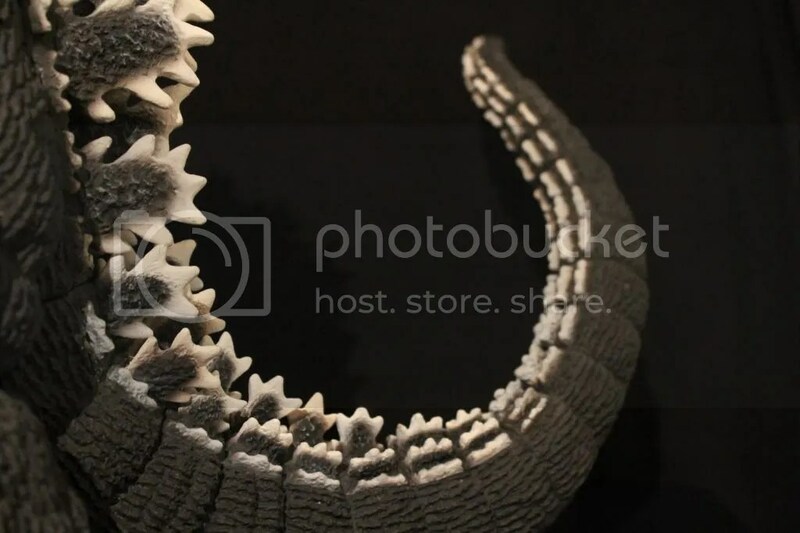 Two rows of teeth really make the mouth look ferocious. The teeth are also individually sculpted which brings out a great sense of detail and depth to the mouth. Another top-notch piece of detail is the roof of the mouth. The grooves are highly detailed. This is an area where X-Plus excels in the detail department where other lines do not. Every part of the figure is covered as you can see as you look at the pictures of the roof of the mouth. Just awesome. The arms and hands are sculpted and detailed very well. As I stated earlier, I love how the arms and hands look. The are positioned very nicely and give off the sense that Godzilla is ready to grab Battra by the tail and smash him around Yokohama for a few minutes. I will say I love how the arms are tucked in a bit. The elbows are kinda tucked in like the Mosu-Goji 64 suit. 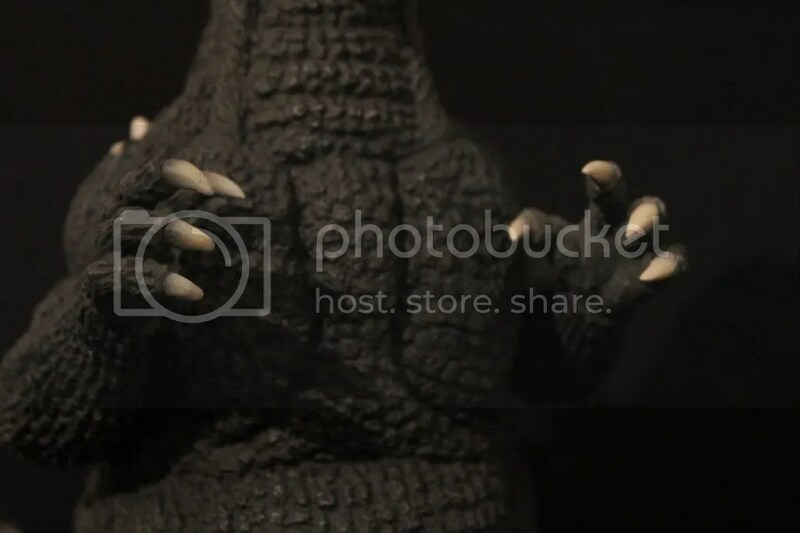 I really like how the arms posed as it captures a bit of Haruo Nakajima through Ken Satsuma’s portrayal as Godzilla. The Legs! Look at thunder thighs here! 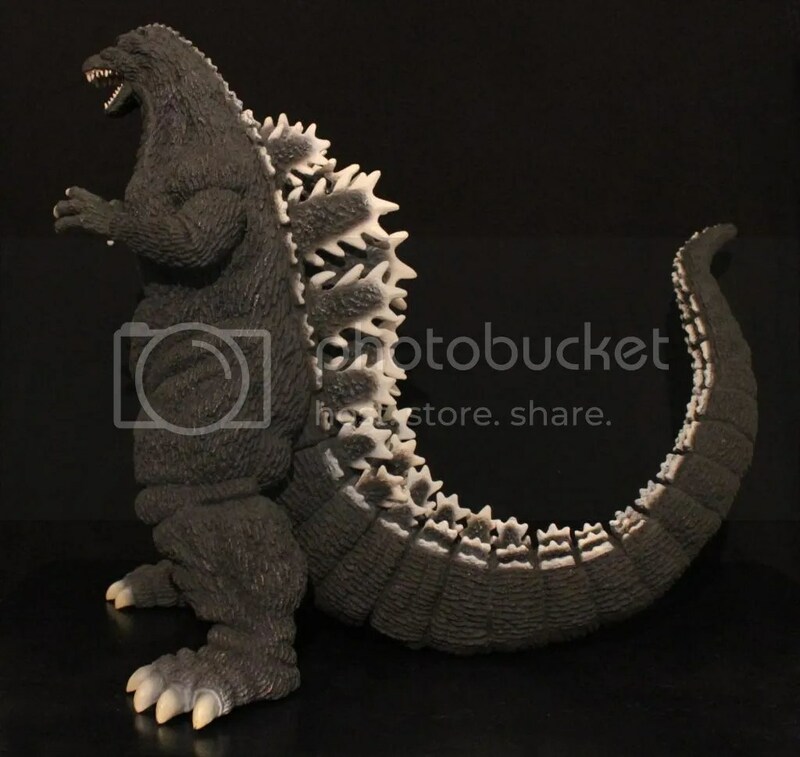 One thing about the Heisei Godzilla that sticks out is that he was a bit chunky. The thigh area is a bit rolly. 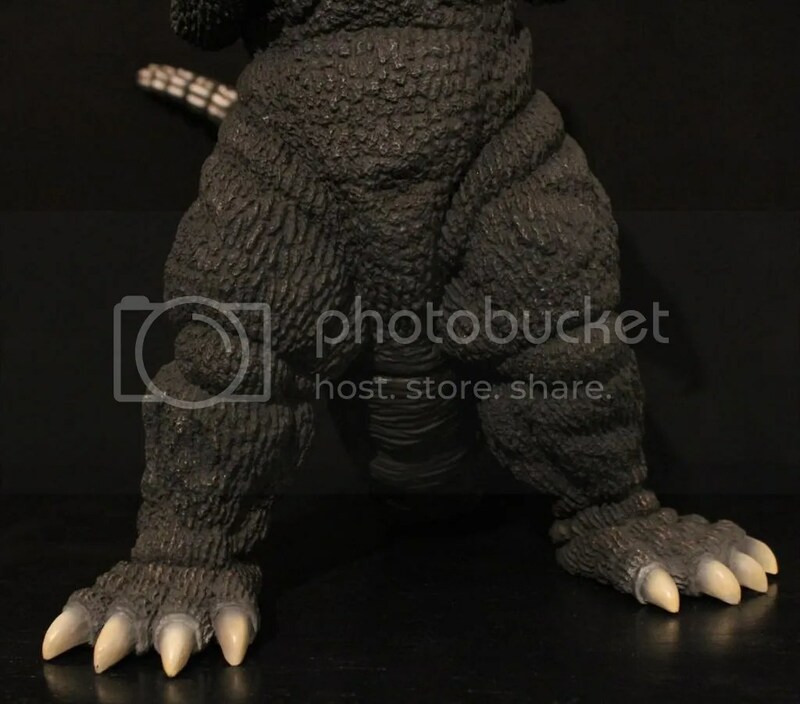 Regardless, Godzilla’s leg’s are sculpted very well. 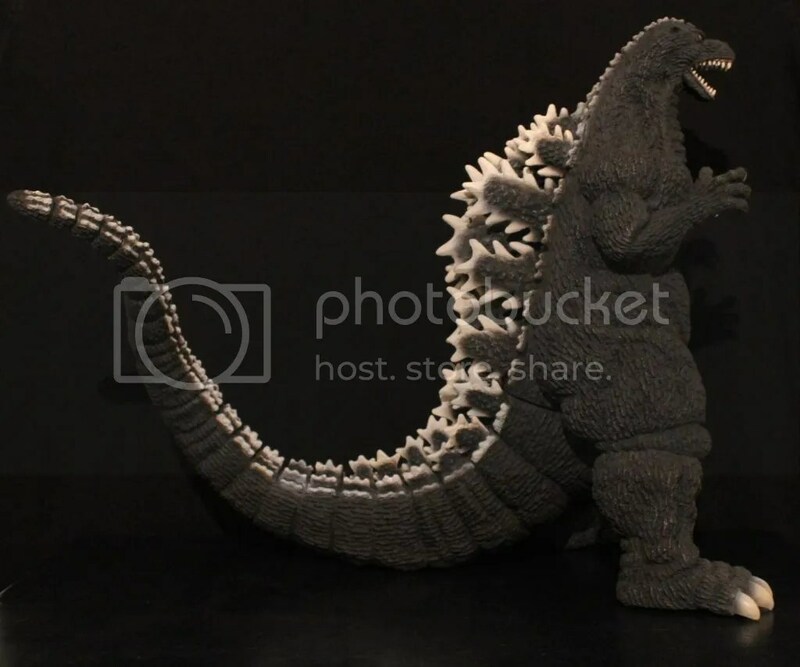 Godzilla’s legs are pretty massive on film and they are captured accurately here on the 30cm representation of him. 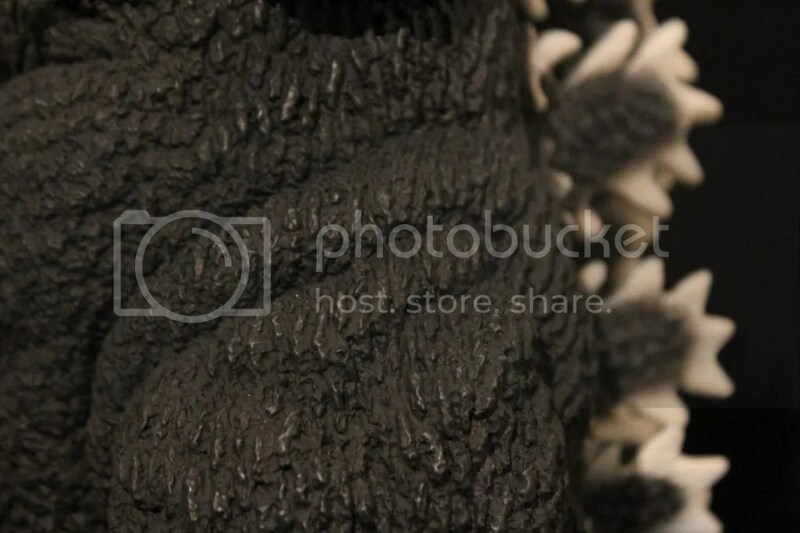 Godzilla’s feet are sculpted well too. One piece of detail I like about the feet is the attention to detail that went into sculpting and painting the toe nails. Something so simple is done so well. Look at the toe nails. You can see the paint flows seamlessly with highlights of dark grey as if the toes really grew out. There are small groves in the base of the toe nails pertruding from the skin that look really awesome as well. The tail is done nicely. Pretty basic and simple. The dorsal plates flows right off the back down the tail. The paint job on the dorsal plates matches up with the plates on the back. No issues there. The tail swoops out and then curves up and away. Nicely done. 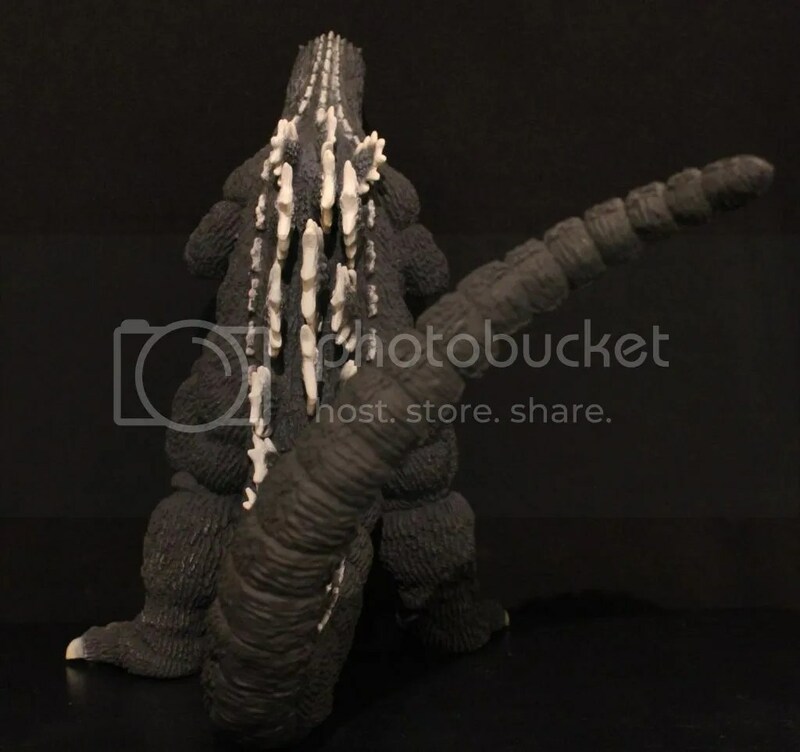 The underside of the tail is detailed accurately too with smoothed out scales to replicate Godzilla’s tail dragging accross the ground. Aside from the inaccurcy in the face, which is still nicely detailed and sculpted, the figure really rocks! The pose is awesome! The size is a complete 30cm figure as it should be. I am really glad I grabbed this figure, even if I do not have the box! Jim Jenkins would be proud! Now thats fresh!!! Im looking for one myself but its hard to find one…let alone one with a good price.